This past week I finished reading Start Prepping by Tim Young. Tim writes the Self Sufficient Man website and has written a number of books on preparedness and homesteading. Start Prepping includes many easy and doable steps to start preparing. The author included a variety of survival stories that keep the reader interested and engaged. The chapters are well-organized and the advice is solid. 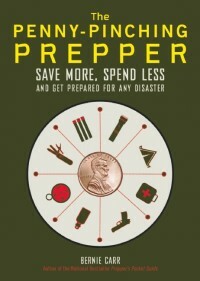 When I read books on preparedness and survival, I look for practical tips that anyone can follow: tips that are helpful whether a disaster happens or not. One of the issues faced by beginning preppers is the overwhelming amount of information to sift through, which can also immobilize someone into inaction. The 10 steps to preparedness are thoroughly laid out, easy to implement and not at all intimidating. All in all, Start Prepping by Tim Young would give anyone interested in preparedness a great foundation.